The Galapagos Islands are famed for their stunning natural beauty and a litany of unique and unusual species. In the 1830s, they were one of the main study sites for Charles Darwin during his second voyage on the HMS Beagle. His observations during this expedition contributed to his seminal work, the Origin of Species and theory of evolution. Jump to the present day and one of Galapagos’ islands, Seymour Norte, is fighting an invasive rat population which threatens the survival of the island’s native birds and lizards. According to Wired, the island was pest-free as of 2007 but just a decade later, the rats were back (they believe them to have swum for a nearby island). Rats are a notoriously resilient animal. If one pregnant rat makes it on to a remote island – it’s generally not long before they are everyone. This is due to the facts that there are many remote parts of the globe which have had no exposure to predatory mammals. The rats therefore have no natural predators and the native species, which are mostly birds and lizards, have no defence against them. The rats, therefore, have free reign to eat eggs from native birds and iguanas. Faced with these pests – local scientists in the Galapogas have added a new tool to their arsenal to help rid the island of rats: drones. 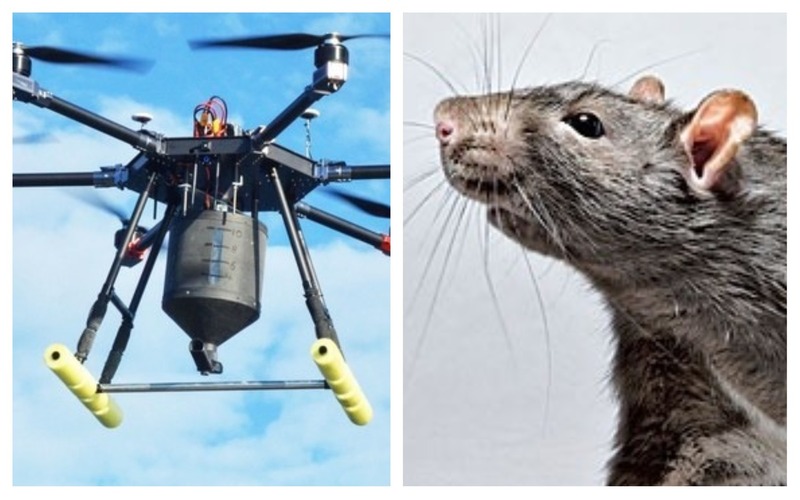 The autonomous drones fly along preset routes dropping rat poison at strategic locations. This is a cost-effective and time-saving solution when compared to humans laying the poison. The drones in question are whoppers, coming in at 55 pounds each (25 kg). 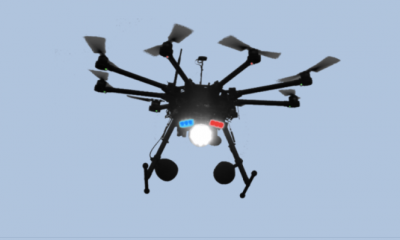 Each of the six-rotor behemoths lugs payloads of 44 pounds (20 kg) of rodenticide pellets. They are coloured blue which has been shown to be unattractive to birds. 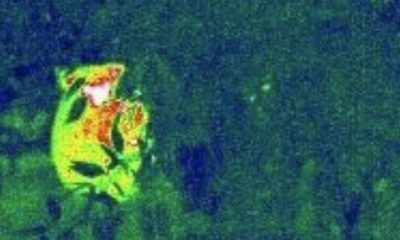 Seymour Note is a tiny island less than a square mile in size and drones are therefore an ideal tool to precisely drop poison only in spots where they are certain rodents inhabit. Dropping poison is never ideal but it’s currently the best method humans have for combatting invasive species that threaten precious native wildlife. Rats have a lot to answer for throughout history. These furry creatures are credited with spreading the Black Plague throughout 14th century Europe which killed between 30-60% of the continent’s population at that time. Skip to modern times and in any densely populated city, rats are sure to be. In 2014, scientists estimated there were some two million rats inhabiting New York City alongside the 8.4 million people.